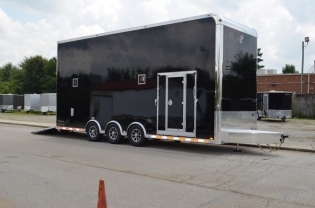 When you are looking to transport multiple automobiles or toys in the same trailer look no further than the inTech Stacker Trailer. 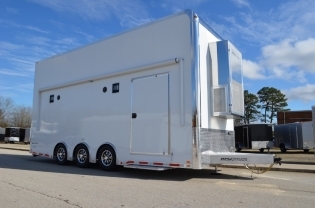 Our Stacker trailers are loaded with standard features that other manufacturers consider options...feature for feature, benefit for benefit our inTech motorsports trailers offers more value for your dollar! 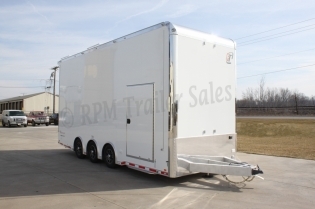 Not only are our inTech Stackers trailers built with an all-aluminum, all-tube frame but our hydraulic lifts are manufactured of lightweight aluminum reducing your overall payload and increasing fuel economy. 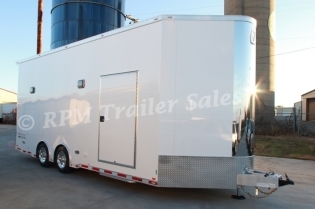 If you need maximum cargo space and heavy duty stability you need to consider the best all aluminum trailer in the industry. 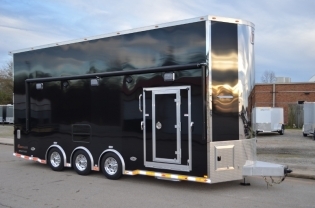 Stacker Trailers are one of our many custom trailer specialties. 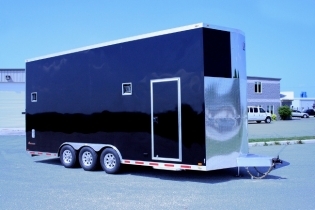 We’ll fully customize any trailer to suit your needs, from the drawing table up. 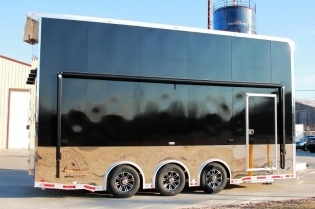 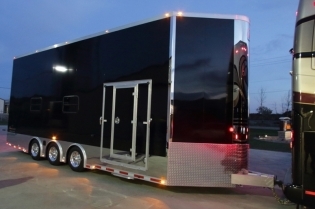 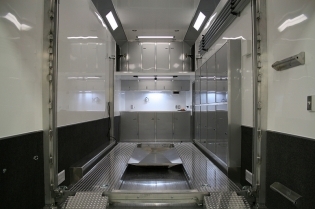 Looking for a race trailer with a full living quarters? 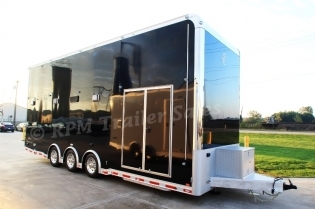 With all the great options and packages we put into our custom trailers we guarantee to please! 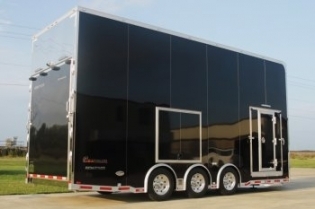 Talk to your inTech Trailers representative about building a custom stacker trailer to match your exact specifications and hauling needs. 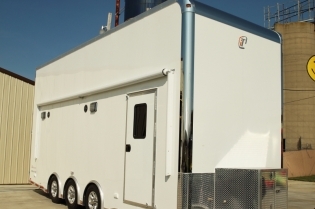 Look through the images and call us today to learn more about the inTech Trailer difference.